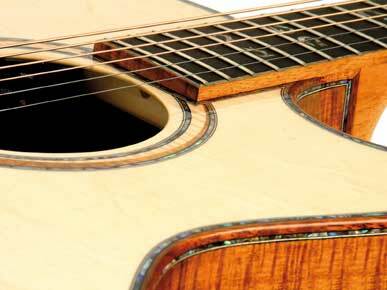 Lakewood Guitars are fine instruments built in Germany by Martin Seeliger and his team. Their guitars feature AAA grade European spruce tops and highly select wood choices for backs and sides. Their higher line instruments automatically come with L.R. Baggs pickups. Visit their website to learn more about Lakewood Guitars.